Curriculum touches every aspect of university business. To remain relevant in an increasingly competitive global education market, universities need to be more agile in their approach to curriculum design and able to demonstrate that their graduates are job-ready to prospective employers. Curriculum management solutions are becoming more critical to streamline, enhance and provide a more agile response to the evolving requirements and complexities of curriculum management; however we know that many institutions are still maintaining homegrown or manual processes and systems. It’s time for fresh thinking about curriculum development, governance and approval processes, without compromising on quality. Join us for a discussion on how Australian institutions are thinking beyond how current courses and programs are architected today by looking at how they can improve student learning through the assurance of learning and sound curriculum development practice. Hear from Professor Keitha Dunstan, Deputy Vice Chancellor (Academic) on how Bond University is transforming their curriculum management processes and Anthony McClaran, Chief Executive Officer from Tertiary Education Quality Standards Agency (TEQSA) on how the regulatory environment provides the fundamental principles when designing curriculum management policies. Professor Dunstan is the Deputy Vice-Chancellor (Academic) at Bond University. In this role she oversees the implementation of the research, learning and teaching strategies of the University. Her role also encompasses the Bond University College preparation and pathway programs. 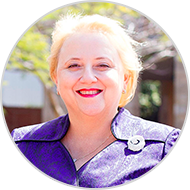 She has been Chair of the Bond University Women’s Network since 2014 and was the Chair of Academic Senate 2012 -2016. Her first appointment at Bond was as Head of the School of Business in 2009. Prior to her appointment at Bond she was a Commissioner of the New Zealand Securities Commission 2003-2011. In 2005, she was appointed as a member of the New Zealand Securities Commission Audit Committee and was the Chairman of this committee from 2008 until 2011. Keitha has also held several senior positions at Victoria University of Wellington in New Zealand 2000 – 2009, including Head of Accounting and Commercial Law and was founding Director of the Centre for Accounting, Governance and Taxation Research. She is a Fellow of CPA Australia. Member of Chartered Accountants Australia & New Zealand and Graduate of the Australian Institute of Company Directors. Keitha is a Gold Coast Business Events Ambassador for Gold Coast Tourism, a past President of the Accounting and Finance Association of Australia and New Zealand 2005-2007, a past co-editor of the “Pacific Accounting Review” 2002-2006 and a member of the editorial board of Accounting and Finance . Before joining TEQSA as CEO in October 2015, Anthony McClaran was the Chief Executive of the UK’s Quality Assurance Agency for Higher Education (QAA) for six years (2009-2015) and prior to that the Chief Executive of the UK’s national agencies for higher education admissions, the Universities and Colleges Admissions Service (UCAS) and the Graduate Teacher Training Registry (GTTR) between 2003 and 2009. 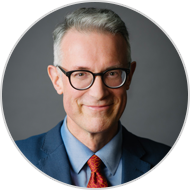 Anthony has held several leadership positions in the higher education sector, including roles in the University of Warwick and the University of Hull. He was previously a member of the Board of the European Association for Quality Assurance in Higher Education (ENQA). Anthony is a member of the Board of the International Network of Quality Assurance Agencies in Higher Education (INQAAHE) and the Advisory Council of the US Council for HE Accreditation (CHEA) International Quality Group. He is currently on the steering groups for the National Student Partnership Project and the National Peer Assessment Project, and is a member of the Audit Committee of the Australian Accounting Standards Board (AASB) and the Auditing and Assurance Standards Board (AUASB). Anthony has held a number of school governance appointments, and was Deputy Chair of Governors at the John Lyon School and Chair of Governors at All Saints’ Academy, both in the UK, before moving to Australia in 2015 to take up his current position.